Africa has set itself a target of being an integrated, peaceful and prosperous continent by 2063. 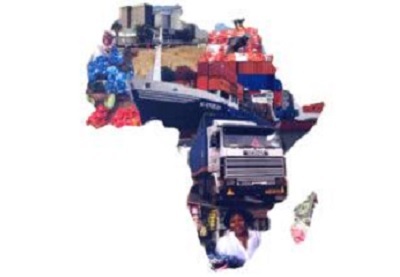 Intra-Africa trade can play a critical role in achieving the continental agenda. However, evidence shows that intra-Africa trade remains low, with the 2017 African Economic Outlook report showing a slight upturn in trade among African countries from 10 percent in 1995 to about 18 percent in 2015. This remains well below potential compared to other regions in the world such as the Association of Southeast Asian Nations Free Trade Area (24.2 percent in 2013) and EU-28 (63 percent in 2015). In a bid to boost intra-African trade, the 18th Ordinary Session of the Assembly of Heads of State and Government of the African Union held from 29 to 30 January 2012 resolved to have a Continental Free Trade Area (CFTA) – a single continental market. Creating a single continental market for goods and services, with free movement of business persons and investments, would not only accelerate the establishment of the Continental Customs Union and the African customs union, but would also ensure Africa’s competitiveness in the global economy. African economies can be transformed through the CFTA, thereby laying a better and more robust foundation for sustained growth, employment creation and poverty reduction on the continent, which is in line with Africa’s Agenda 2063. With the signing of the CFTA set for end of March 2018, the African Capacity Building Foundation (ACBF) is concerned that the agreement may follow several others that have not been effectively implemented, if implementation capacities are not addressed. ACBF has, to date, channeled efforts and conducted regular surveys of the capacity needs of African regional economic communities (RECs) in which the implementation of the CFTA should be rooted. ACBF’s 2016 Survey of the capacity needs of Africa’s RECs revealed the need for critical capacities in support of good governance, human rights, political stability, and peace and security in Africa; critical capacities for effective socioeconomic policy analysis and management; building and fully utilizing human capacities; and critical capacities for statistics and monitoring and evaluation. The Survey also underscored the need for developing entrepreneurial capacities for public- and private-sector management; building and utilizing physical infrastructural capacities; capacities to exploit and add value to natural resources and diversify African economies into processing and manufacturing; strengthening capacities in support of food security and self-sufficiency; and critical capacities for mobilization and efficient allocation of domestic and external financial resources. Thus, while capacity building is agreed to be critical to the success of the RECs, it has received little attention. Building critical capacities (financial, human, institutional and knowledge), and putting them to work fully and efficiently, is central in effectively achieving the objectives of regionally and continentally agreed strategies, programs and plans of action. In recognition of the importance of addressing the lack of institutional and human capacity in the areas of trade negotiations, trade policy formulation, customs union policy issues and private sector as well as civil society participation in trade policy and regional integration issues, ACBF has been providing support to several RECs to strengthen their institutional capacities for research coordination, policy analysis and policy formulation and implementation which are critical to the integration process. ACBF has over the years been striving to support continental bodies and RECs, to strengthen them and ensure that they have the requisite capacities to effectively deliver on their mandate, in the facilitation regional integration in Africa. To date, ACBF has invested nearly US$30 million in capacity building initiatives in the AUC and African RECs and this has in a significant way gone a long way in beefing up the capacities of these institutions to perform better. Moreover, ACBF has also produced key strategic knowledge products (http://elibrary.acbfpact.org/) to equip the African Union (AU), RECs, and all stakeholders involved in the integration process as well as supporting its capacity development efforts. Developing capacity for the CFTA must be seen in its interrelated and interlocking human, institutional, and infrastructural dimensions at national, regional and continental levels. Action must be taken in each of these three areas simultaneously, reflecting the interdependencies and interlinkages among the critical development issues and priorities facing Africa. ACBF has done it at national and regional levels, and has the requisite expertise. My appeal to Africa and beyond is for more support to scale up the interventions we had on RECs for the continent’s transition into a continental free trade area, an African Economic Community. Thanks to its relationship with all AU-recognized RECs, ACBF is very well or even better placed to help and successfully support the African Union fast track the implementation of the CFTA, especially on the required human and institutional capacities. Guided by its 2017-2021 Strategic Plan, ACBF will continue to provide Knowledge Services, to support evidence-based policy making and human and institutional capacity strengthening required for the realization of the CFTA. As the African Union’s Specialized Agency for Capacity Building, ACBF calls on all stakeholders and actors involved in the CFTA process as well as those interested in Africa’s development to join efforts with the goal to deliver timely development and capacity advice/services for the successful implementation of the Agreement. But this must be done in a coherent and well-coordinated manner to minimize wasteful duplication of efforts and maximize impact.